Nowadays, some birds are trained to take down pesky drones. 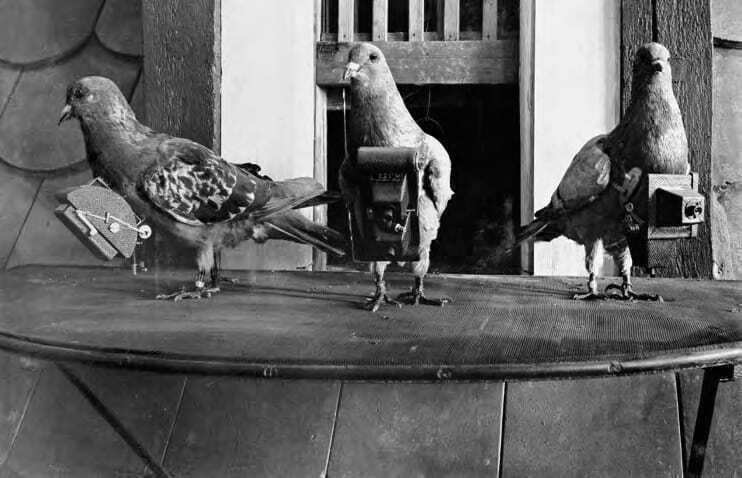 Back before drones became a cheap and easy way to acquire aerial imagery, a German inventor proposed using pigeons to capture photographs of the earth from above. Neubronner carried on his father’s practice which was started back in 1840 in the German town of Kronberg. His father started the practice of using homing pigeons to coordinate prescriptions with local doctors and clinics in order to expedite the delivery of medications. 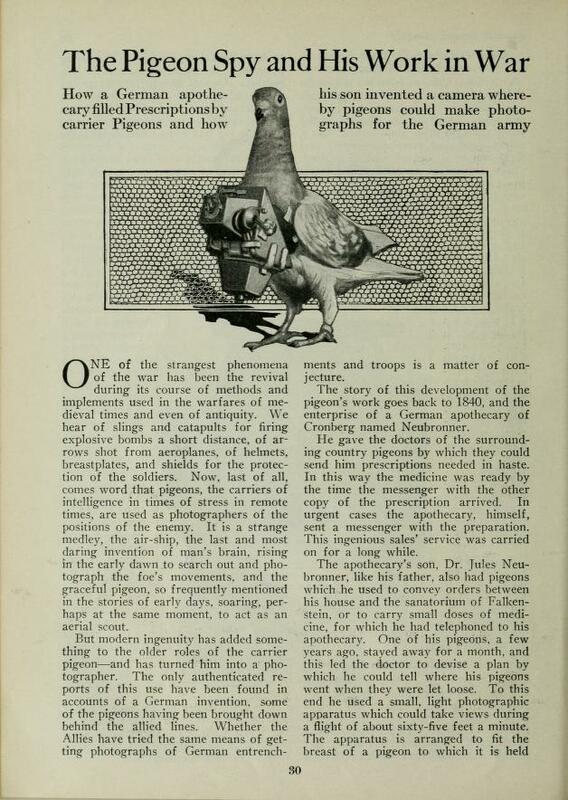 Neubronner came up with the idea of using aerial imagery to track his homing pigeons’ travels after one became lost and went missing for a month. 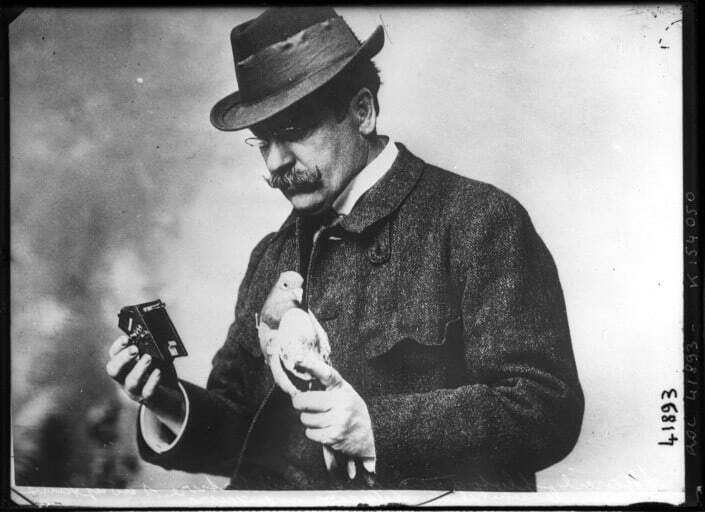 Julius Neubronner holding a homing pigeon and one of his cameras, 1914. Curious to see where his pigeons were flying, he devised a way to capture pictures of their flight path. In the early 1900s Julius Neubronner developed an aluminum breast harness to which a lightweight camera was attached. The camera was equipped with a timer that would take a picture every thirty seconds. This contraption was attached to a homing pigeon in order to capture aerial photographs. 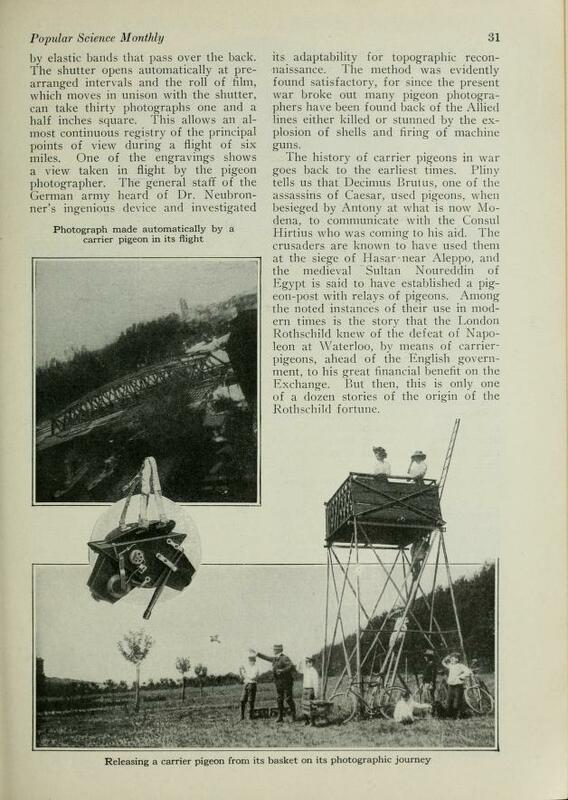 Homing pigeons strapped with Neubronner’s cameras. In 1907 Neubronner submitted a patent application for his invention. 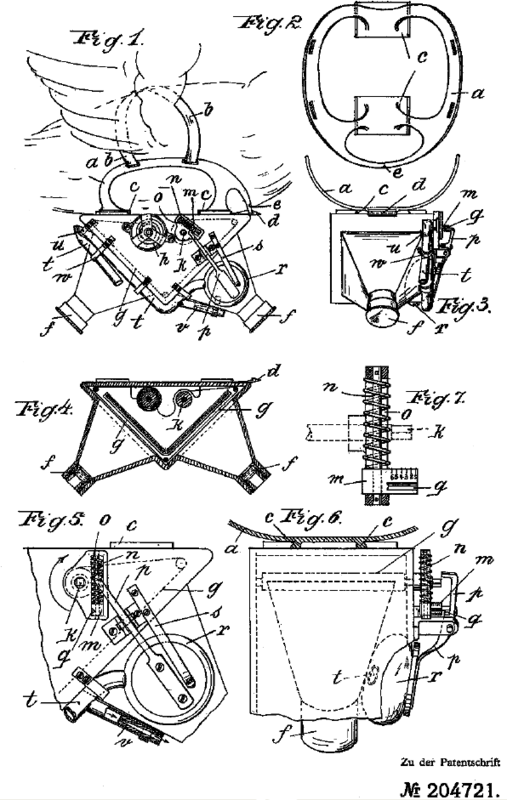 Neubronner’s 1907 patent diagrams for his pigeon camera harness. Neubronner traveled in 1909 to the Dresden International Photographic Exhibition where he showed off his invention and sold postcards of aerial photographs captured by his homing pigeons. While aerial photographs taken from balloons and kites had been taken some 20-30 years earlier, the perspective of seeing the landscape from above was still a novel and exciting view for most people. The unreliability of flight paths and quality of the aerial photographs compared to made the pigeon aerial invention a short-lived strategy. What is the Oldest Surviving Aerial Photograph? 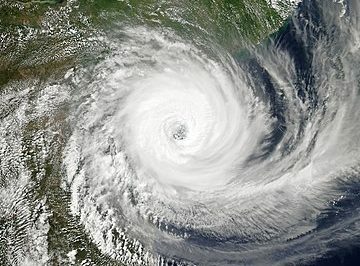 Who Coined the Term 'Remote Sensing'?